Our mission at Fastrax BMX is to develop and promote responsibility, hard work, sportsmanship, teamwork and fellowship within a safe and positive environment for all ages. The individual growth of our community in this fast growing sport is enhanced through the spirit of competition, discipline and fair riding. 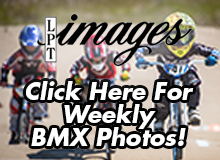 Fastrax BMX guarantees a fun, positive experience for everyone involved. Let's Race!